The True Face of Adulting? I posted one of these pictures on my Instagram a few weeks, captioning it with how it had inspired me to get back in to blogging. Obviously this was met with slight confusion from a few people as to how on earth a Vacuum Cleaner could be inspiring but in truth - I haven't been this excited about a purchase in a long time. We were making do with James' Grandma's old hoover, having to use a rubber curry comb over our entire carpet first to pull out Max's stubborn dog hairs. 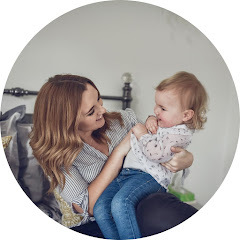 It meant that hoovering even our modest house was a day long affair, it was getting harder as Sophie was getting older and to be honest - who can be bothered to go through that once a week? 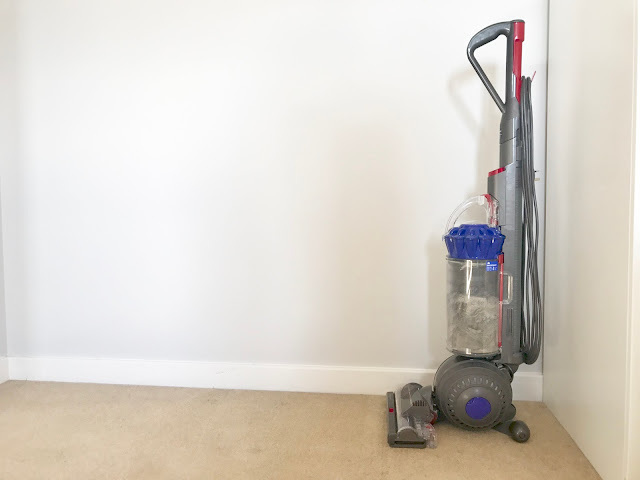 I went on a vacuuming strike until James caved and we bought our first ever Dyson! When this first arrived and I put it together, I was filled ever so slightly with dread as I'd had to really sell James on such an expensive vacuum cleaner when, let's be honest, there are far cheaper ones out there. I convinced him that it was worth the extra money and so when the time came to give it a test run, I was suddenly panicked that it would be crap and I'd be firmly in the dog house! Firstly, I was suitably impressed that even I managed to put it together in a matter of minutes, and you get so many attachments to get into every nook and cranny possible. Secondly, I don't think James and I have reacted with such excitement since we found out we were pregnant... It genuinely made us so happy! 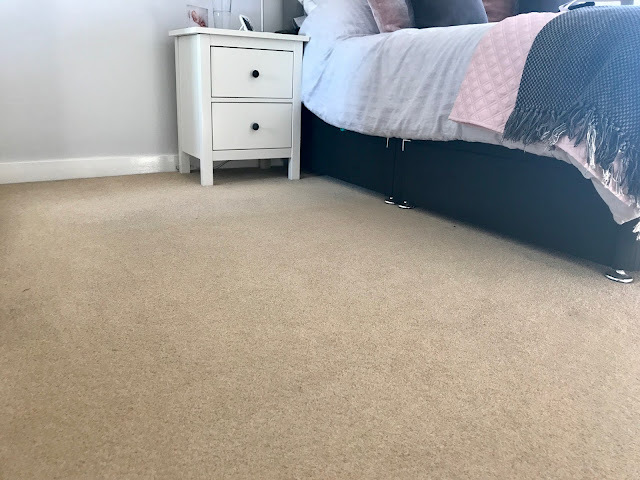 Within minutes our downstairs hallway looked like a different room, even I wasn't expecting it make the decade old carpet look that good. 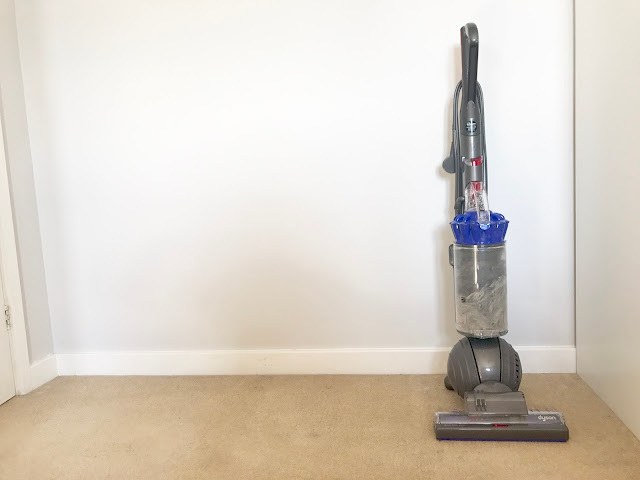 We have the Dyson Animal DC40, it adjusts to whichever floor type it's currently on so no awkwardly bending down to change the setting every time I go into a bathroom or the kitchen. It's also got the ball technology so it's super handy for reaching around corners and under any furniture. It might sound like I'm being really pedantic over a hoover but it has honestly changed our lives. For those of you who don't know we have a short, wirey haired black dog who malts like fur's going out of fashion, plus a 15 month old. That combined with James' work boots and my riding gear - our carpet takes a battering day in, day out. Said dog is also terrified of any vacuum cleaner, which in turn winds the baby up - who coincidently gives me around 5.5 minutes to get anything done on my days off. It means that I effortlessly hoover my entire house in 20 minutes flat whilst she's entertaining herself and he's blissfully unaware in the garden. It cost us £220 on very.com, but it's already been worth every single penny and in this case, it definitely was worth splashing the extra cash! Behind the Mask - My Skin Fixes!